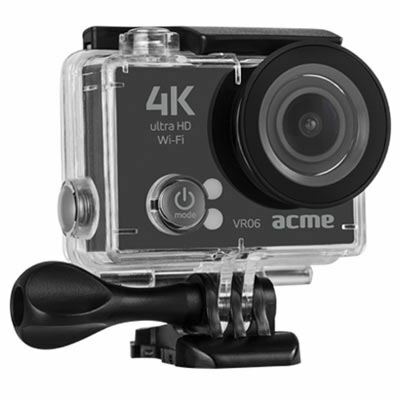 The ACME VR06 Ultra HD Sports + Action camera with Wi-Fi is capable of shooting 4K video at 25fps, or 1080p at 60fps. Simple to operate, this compact action camera features an integrated WiFi connection that allows users to steam footage directly to their smartphone, as well as a high-quality 2 LCD screen for viewing the clips immediately. Additionally, it is waterproof down to 30m.